"Excellent Service provided, and very reliable. Great Job. Thanks." "Top Quality Work. Very happy with the results. Keep up the good work!" 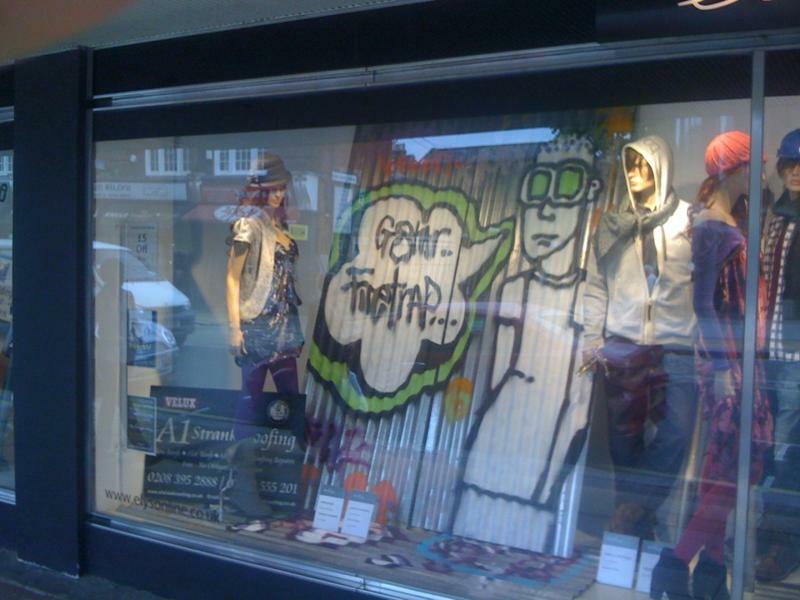 "A1 Strank Roofing found in Elys window!" Most of the time you'll find A1 Strank Roofing up along the top of the city skyline, where you'd expect them to be. 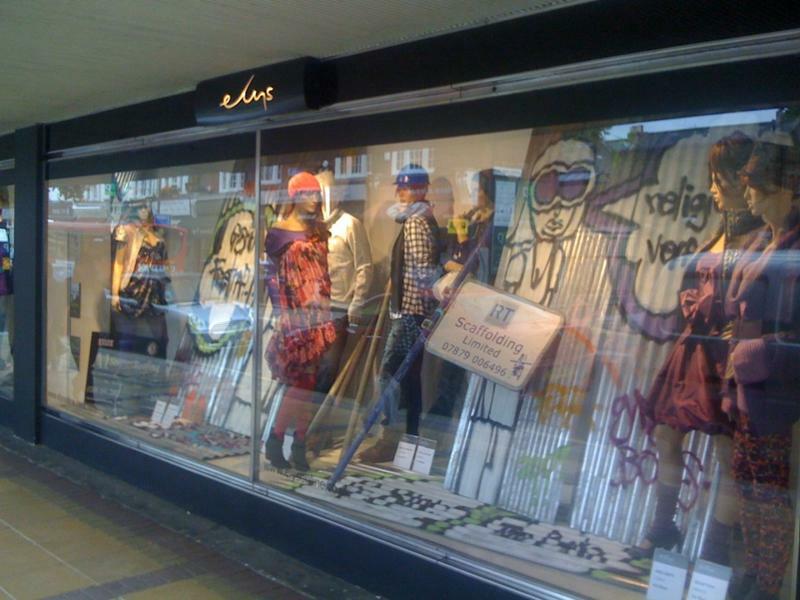 When we're not on top of buildings, you can also find us in all sorts of places, like through a shop window! 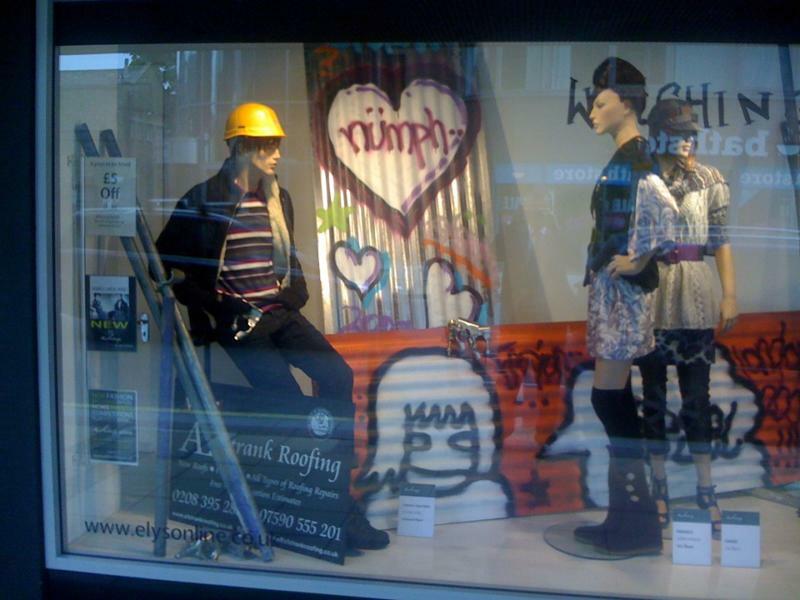 Elys of Wimbledon called our offices with an unusual request to provide a roofing theme for their main window display. 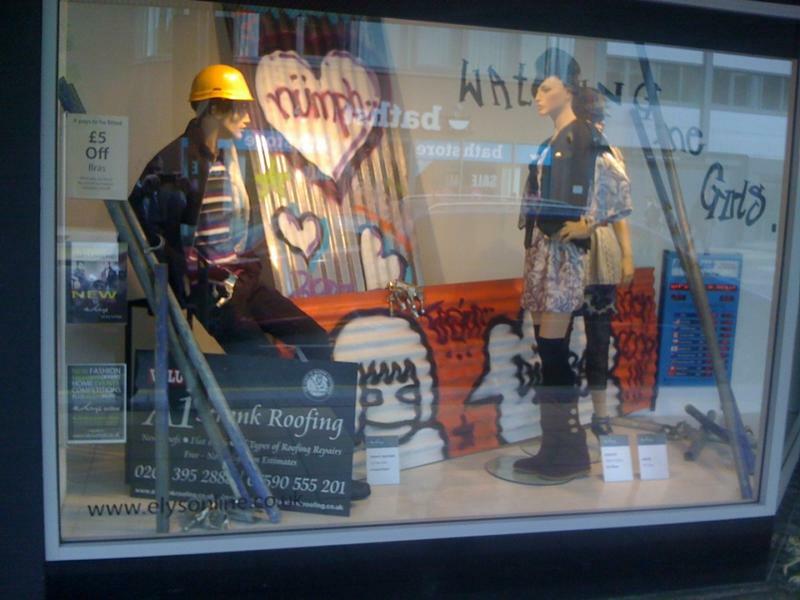 A1 Strank Roofing have always been active and interwoven with the community at large. We love the ground and staying in touch with what's happening as much as we love being up in the sky. If you have an interesting idea, in fact, the whackier the better, whether you're a charity organisation or a business, we'd love to hear from you. We'll rise to any challenge.